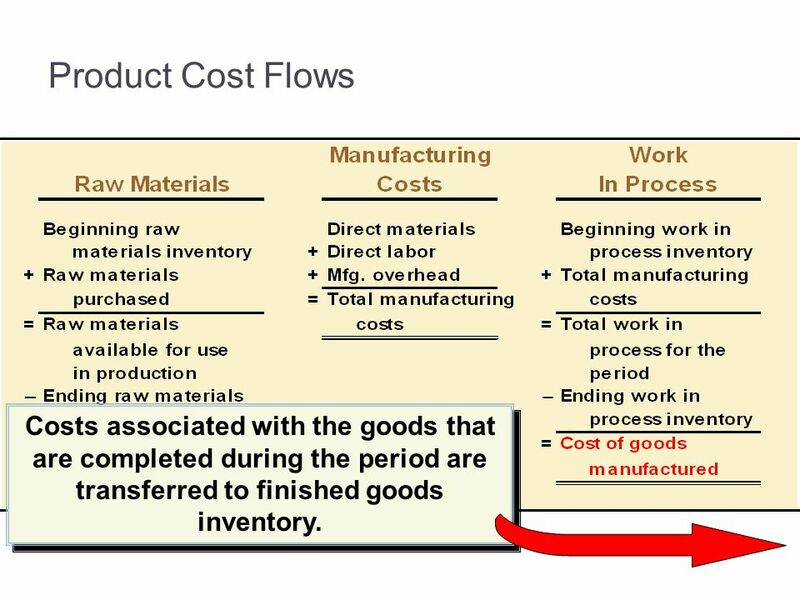 Ending work in process inventory was 1/3 complete as to conversion costs. 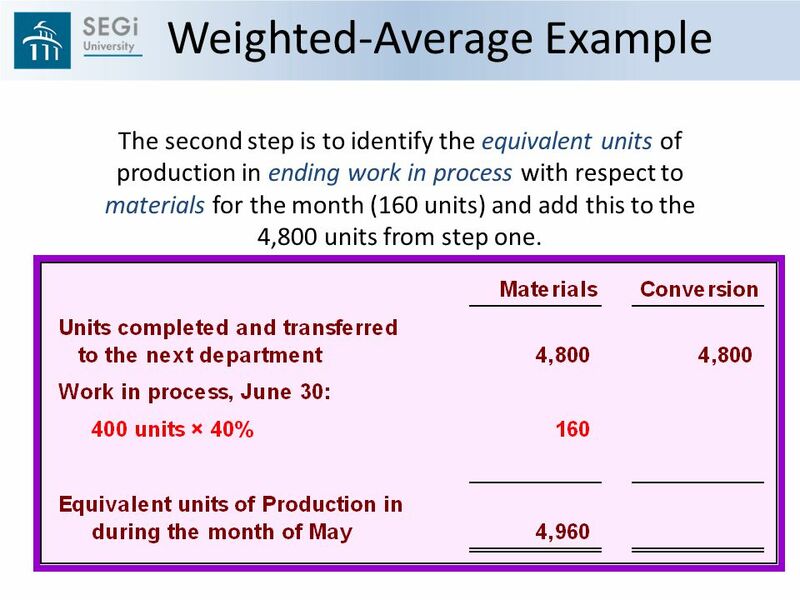 Step 1: Physical Flow of Units For the physical flow of units, we calculate units started AND completed this period as Units started 10,000 – units remaining in ending work in process 3,000 = 7,000 units. 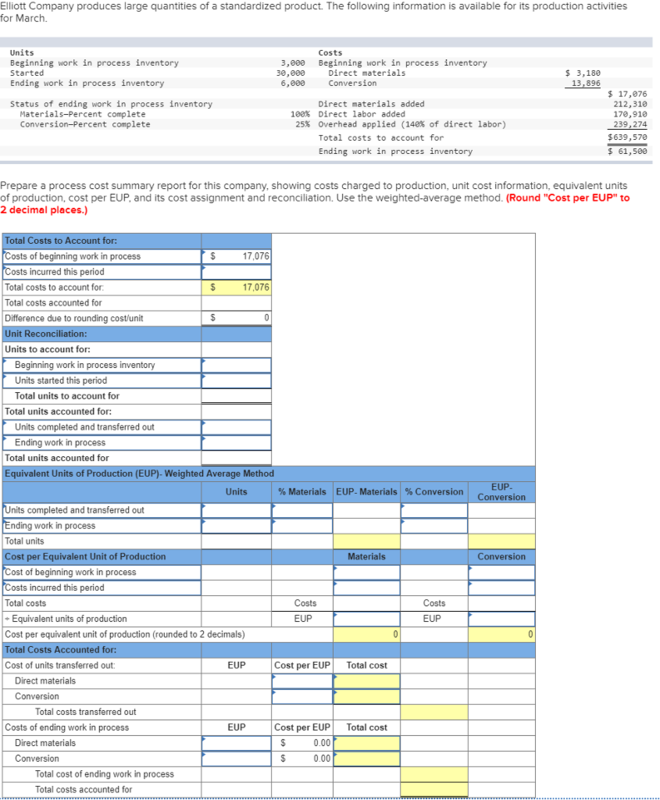 Cost of units remaining in ending work in process: you will take the ending work in process equivalent units x the cost per equivalent unit for materials, labor and overhead (or conversion) just as we did under the weighed average method. This amount rolls over to be the next period’s beginning work in process inventory. Since the opening work in progress units are assumed to have been handled separately, it amounts to working on opening work-in-progress units first, completing them and then handling the inputs of the current period. Such a methodology is similar to the first in first out mechanism used for inventory handling and valuation. As such this method is called FIFO method.